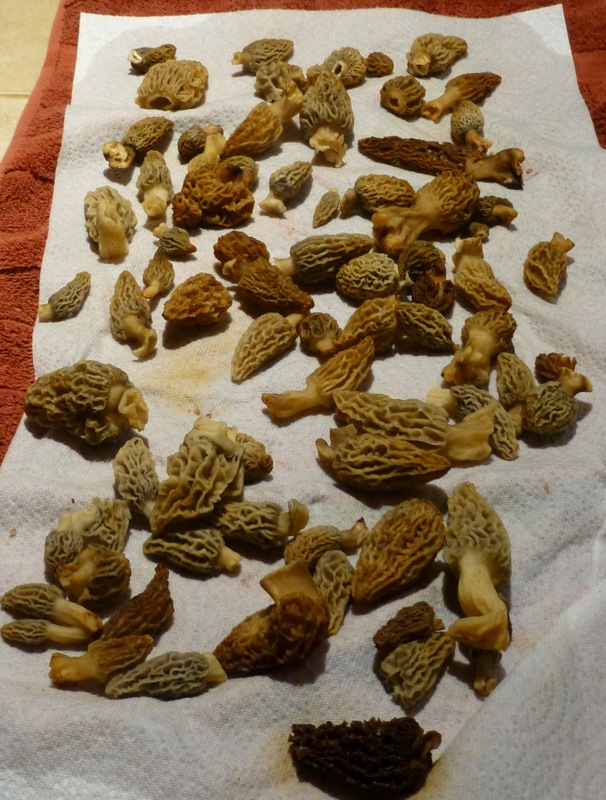 Over a pound of morels, Morchella esculenta to be precise. We heard from the kid she’d seen some when out walking with a friend and after grilling her about why she hadn’t collected them, since they were on public property, we headed out. Note, it was after seven o’clock in February so the sun had set. But what are flashlights for? What are mycophiles for? How could we wait? 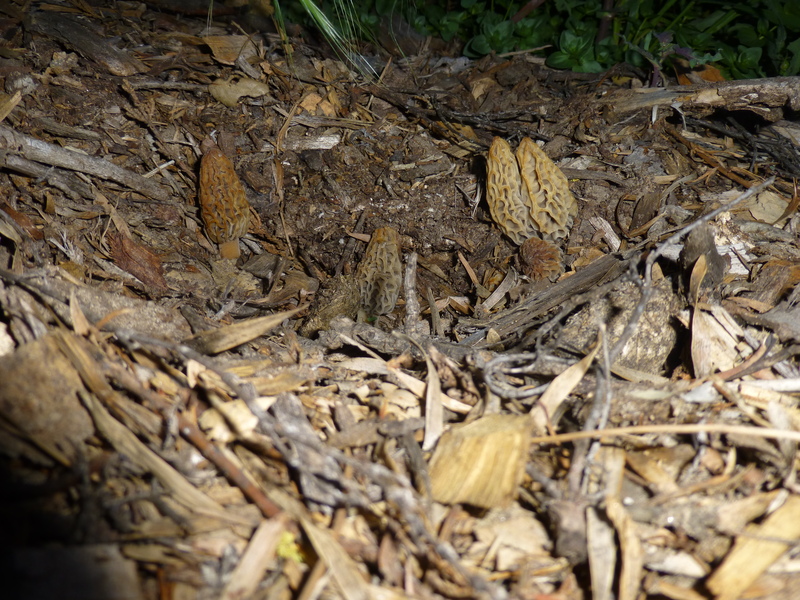 This is what morels look like when taken by surprise in the dark. We left plenty, and carefully cut the stems above the ground. Some folk say that isn’t necessary, but I would rather have no regrets and this way I can at least know I did my best to leave the mycelia reasonably undisturbed. Maybe we were hobbits in a previous incarnation.